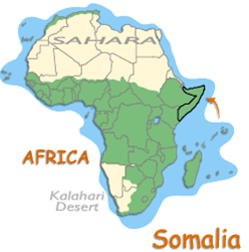 Somalia is located in East Africa in a region known as the Horn of Africa. It neighbors Ethiopia, Djibouti and Kenya. The Somali people are believed to have their origins in the North of Somalia. With the longest coastline on the continent, Somalia holds an important place in the history of global maritime trade with ancient Egypt, Rome, Persia, Greece, Phoenicia, China and other empires. ​​Today, many Somali people are scattered across the globe in a vast diaspora that began in 1991, when President Siad Barre was ousted and the nation plunged into lawlessness and clan warfare. It is estimated that hundreds of thousands have died from the effects of war, famine and disease, The war continues even now, forcing large numbers of Somalia's people to flee to other countries. When Somali refugees began arriving in the U.S. in 1991, Columbus, Ohio proved to be an important destination. Ohio is now home to the second largest Somali population in the U.S., with an estimated 45k+ Somali immigrants and refugees now living in the Columbus metropolitan area. 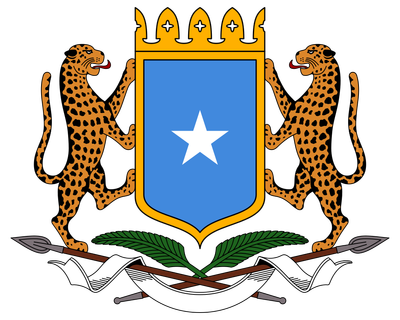 A history of Somalia can be found on Wikipedia. Some highlights are included on this page.​ Read about conditions in Somalia today in Amnesty International's annual report. Since antiquity, Somalis and Somalia have been important partners in world trade, and it is believed that the ancient Somalis established kingdoms that traded with ancient Egypt, Rome, Persia, Greece, Phoenicia, China and other empires. 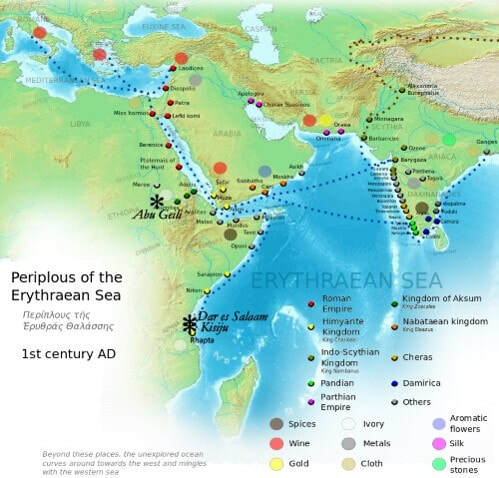 Ancient texts such as the Periplus of the Erythrean Sea noted Somalia as an important center for commerce. Ancient city states dot the Somali coast, with recent archaeological discoveries of diverse currencies and other products from the ancient world scattered throughout Somalia. Somalia waged one of the longest anti-colonial struggles in Africa. The famous Sayid Mohamed waged a bitter struggle against the British Empire for thirty years (1890-1920), forcing the British to retreat to the coast and send five failed expeditions to kill or capture him. The Dervish State he founded was the only Muslim state to remain independent and allied with the German and Ottoman Empires. It finally fell in 1920, after the newly formed RAF, fresh from the battlefields of WWI, bombarded his capital and ended the war. However with the expansion of the European powers and subsequent Somali decline, Somalia was occupied and colonized by France, Italy and England. It was divided into three segments by the colonial powers in 1885; French Somaliland, British Somaliland and Italian Somaliland. In 1960, British Somaliland and Italian Somaliland gained their independence and reunited to become the country of Somalia. French Somaliland became a separate country which is called Djibouti today. Britain gave a large portion of Somalia’s territories to both Ethiopia and Kenya, with roughly eight million ethnic Somalis in these regions. The population of Somalia is estimated at ten million, with the overall population of Somalis approximately twenty million. Ogaden War: In 1964, Ethiopia invaded Somalia following a border dispute regarding the Ogaden region, an area almost entirely inhabited by ethnic Somalis. 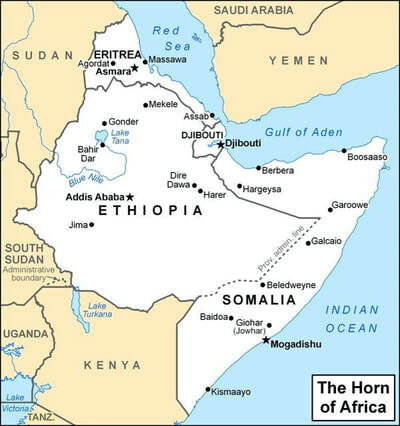 In 1977, Somalia invaded Ethiopia with the aim of retaking the Ogaden region. A Soviet allied state at the time, the Somalis quickly took much of the region before the Soviet Union switched sides and began supporting the newly Marxist Ethiopian regime. The Soviets supplied Ethiopia with the second largest airlift in their history, thousands of Soviet advisers, and 20,000 Cuban ground troops. They also supplied trainers and support troops from South Yemeni, North Korea and East Germany. This massive switch ultimately forced Somalia to withdraw from the Ogaden, and align itself with the United States. Civil War: Mohamed Siad Barre seized power in 1969 and established the Somali Democratic Republic. In 1991, Barre's government collapsed as the Somali Civil War broke out. President Mohamed Siad Barre was ousted. The nation was plunged into lawlessness and clan warfare. From the effects of the war, famine and disease, it is estimated that hundreds of thousands died during this two-decade conflict. Roughly one million Somalis fled from the widespread violence and lack of order, first to neighboring countries and then resettling as refugees throughout the world. ​In the absence of a central government, Somalia's residents reverted to local forms of conflict resolution consisting of civil law, religious law and customary law. A few autonomous regions, including the Somaliland, Puntland and Galmudug administrations, emerged in the north in the ensuing process of decentralization. The early 2000's saw the creation of fledgling interim federal administrations. The Transitional National Government (TNG) was established in 2000 followed by the formation of its successor the Transitional Federal Government (TFG) in 2004, which reestablished national institutions such as the Military of Somalia. In 2011-2012, a "Roadmap" political process providing clear benchmarks leading toward the establishment of permanent democratic institutions was launched. Within this administrative framework, a new Provisional Constitution was passed in August 2012, which designates Somalia as a federation. Following the end of the TFG's interim mandate the same month, the Federal Government of Somalia was also formed. It was the first permanent central government in the country since the start of the civil war. Today, the mention of Somalia often invokes images of violence, famine, or piracy. However, the horrors that defined Somalia during the civil war are slowly giving way to a new Somalia, one that is striving for peace and making slow but steady socioeconomic and political progress. Somalia has concurrently experienced a period of intense reconstruction in cities such as Mogadishu, Hargeisa, Berbera, Borama and Kismayo. Through the years, Somalia has maintained an informal economy based mainly on livestock, remittance/money transfer companies and telecommunications. Large numbers of Somalis from the diaspora have come back to Somalia to partake in the rebuilding process. Many Somalis from abroad establish businesses, hospitals and schools, which is leading to a new wave of economic and political prosperity. Despite the difficulties of the last 30 years, Somalis around the world are beginning to put trust in the democratic process and are hopeful for the future of Somalia. ​DONATE NOW and support SCAO's work with central Ohio's Somali community! The Somali Community Association of Ohio (SCAO) is a 501 (C) (3) non-profit organization with a mission to help Somali refugees and immigrants thrive in Columbus, OH. If you'd like to reach out or volunteer your time, please contact us.